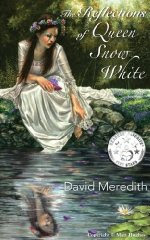 I was approached by the author David Meredith to have a look at his ebook The Reflections of The Queen Snow White, to see what I thought of it and to write a review on my findings. The book cover is a beautiful painting of an older Queen Snow White looking into a pond, the artwork is by Matt Hughes and is just stunning, but don’t be fooled by the pretty cover. A pretty cover does not mean a nice and fluffy fairytale! I have always loved the story of Snow White so I jumped at the chance to read and review this great looking short story/novella. It is based after the fairytale ending of Snow White and Prince Charming living together happily ever after. In this story Snow Whites Prince Charming is dead. She is overcome with grief and depression and one day comes across the magic mirror that her evil stepmother once had. She discovers through the mirror that she is a strong person and can get through this depression. This novella is not a nice fairytale, so if that is what you are looking for, this is not for you. It contains emotional abuse and violence and is a rather dark story. Quite disturbing in fact. Its a really thought provoking book and took me through many emotions, one minute I was upset and the next minute I felt angry. The Reflections of Queen Snow White is a story I am happy to keep on my Kindle for many years to come. It is definitely one I will be coming back to read again. It is very well written, the descriptions are excellent. My only criticism is that I finished too quickly! Disclaimer: All the views and opinions expressed are my own. 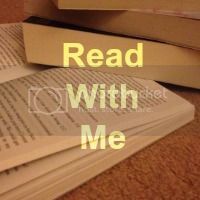 Book cover image and book description from Goodreads for purpose of this review only. I am also a part of the Amazon Affiliate scheme so if you click on a link to Amazon and buy, I will recieve a little bit back, so thanks if you do.